Jypyä Pop (Turku, Finland) on 4 February 2012 in Plant & Nature and Portfolio. @CElliottUK: Winters are different in different parts. These crystalas appeared in fierce winter days, and fall, when you begin to blow. On sent le froid, mais c'est tellement bijouté quelle finesse ces cristaux qui enrobent fantastique. @Nicou: This is the mystical beauty of the northern world. On a sunny day it's fun to watch, but when you go into the cloud, and it starts to rain, then there is no fun. beautiful ! good day ! @Sylvie49 capture image: Thank you. @Adela Fonts: Thank you for Adela. It is such a winter decoration, which can only admire the outdoors. 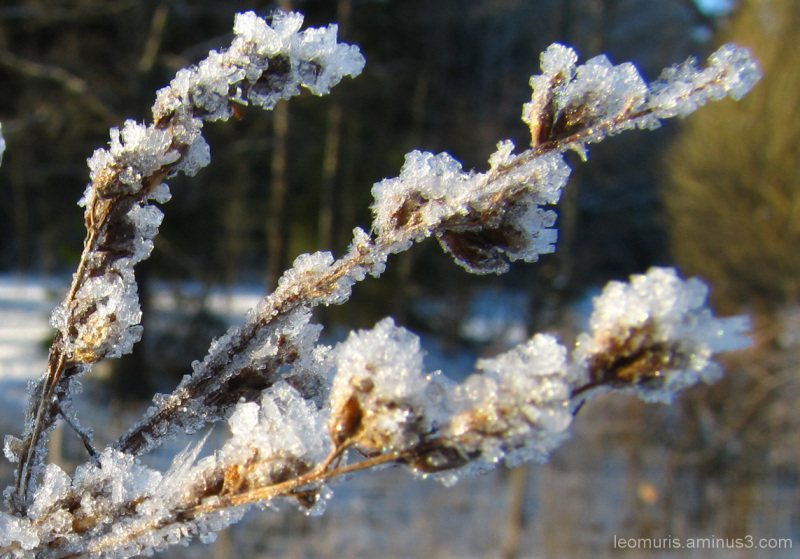 the light emphasizes so well these lovely crystals of cold, very nice shot. @Evelyne Dubos: The ice is like a jewel. It is a clear and cold. Excellent shot, we might see some snow and ice here by tomorrow (fingers crossed). @Curly: I'm living with your expectations. It would be absolutely right that if you wait for the snow, it also comes. @The Mouse: Thank you The Mouse. @Doug: Winter brings great things for viewing. Great shot, well done Jypyä! @Sien: I think it feels good when you think about now and then from the sample. Very cool image. Great work! @Aly: Since winter is a an easy to enjoy, unless the it will only last for too long. It is happy, that you like the picture.